This versatile Artisanal Paint base is made from a blended Casein and Linseed Oil Emulsion. 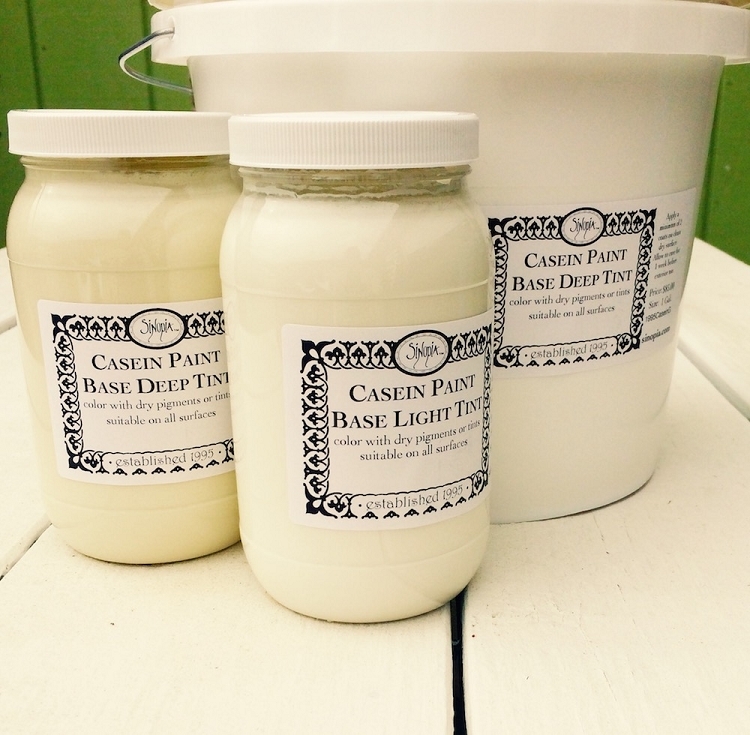 Unlike other Casein Bases, this paint is ready to use directly from the bucket. The paint is suitable for all surfaces both indoors and outdoors and can be tinted with either dry pigments or universal tints. This deep tint base can be used as a glazing compound for color washes or as a vehicle for a high pigment load. Paint can be thinned with water and brushes and tools are cleaned with water. Q: Does this product require a rigid base like regular casein? Or do the additives allow it to work on canvas or paper without cracking? A: No, this emulsion does not require a rigid support and can be painted on canvas and paper.